← Dogs on Vacation….Is it for you? 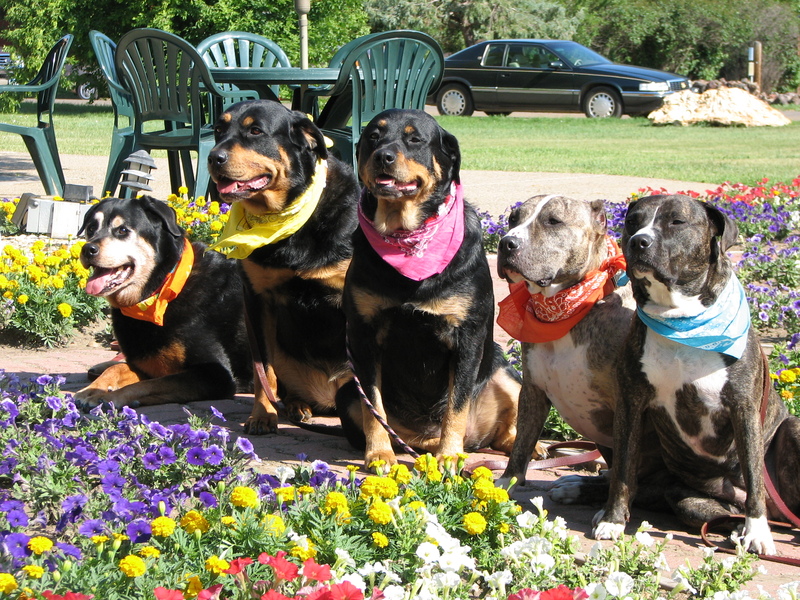 Part two- traveling with dogs….Pit Bulls and Rottweilers? drove, and our and the dogs’ behaviors, would all be up for scrutiny. get into people’s faces. Let them be curious and come to you. For years, we’d visit a particular KOA campground in the Dakotas. when the manager walked by, stopped, and looked at the dogs. to watch us to the point of being somewhat uncomfortable. and socializing, socializing, and socializing. Be smart about it. science . . . just common sense. no, it isn’t too much work. All but one of the then current “Tribe” in a city park while on the road. Note, they are behaving like Catholic School girls on a field trip. They say an army marches on it stomach….So too does our “Tribe”. 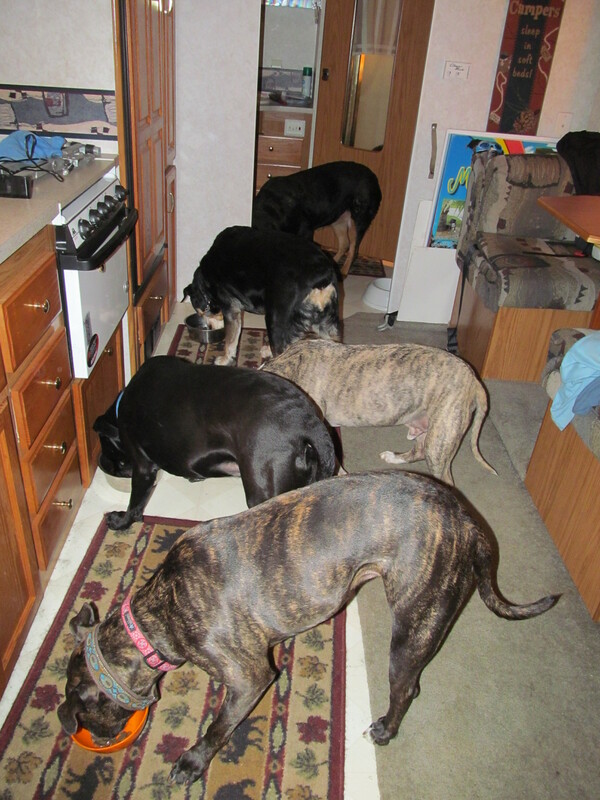 Meal time on the road in the camper. Everyone knowing their place makes traveling a pleasure. This entry was tagged bringing a dog on vacation, Dogs on vacation, dogs stories, Traveling with dogs, traveling with Pit Bulls, Traveling with rottweilers. Bookmark the permalink. This is my blog about...me!